How is that novel-writing going? One reason writers procrastinate is they haven’t taken the time to master the skills. If we attempt to do something—like change the oil in our car or build a bookcase—and we haven’t first learned what’s needed to attempt such a task, it may cost us a whole lot of wasted time. Just as with learning anything, you’ll do well if you first master, step-by-step, the skills needed. If I have a hankering to build a desk and I don’t know the first thing about working with wood, and have never used any of the needed tools, I’m going to flounder. This really applies to a career as a novelist. I’m stunned by how many writers waste years—many years—floundering around trying to write novels and don’t know what they’re doing. Take the time to learn your craft well. Recently I did an editing job for a guy who told me he’d written numerous novels and stated one of his novels had won some award (not sure what that award was). I was expecting a fairly well-constructed story but was disappointed to see the writing at a bare-bones amateur level. The writing itself was weak, clunky, and repetitive, but the bigger problem was the structure—or lack thereof. I worked through pages and pages that had little happening, that lacked a strong setup of character, locale, premise. The problems, to me, were glaring, but this writer, of course, couldn’t see that. His attitude hinted at smugness. He’s a man with a lot of initials after his name. The purple prose throughout attested to his fancy vocabulary—but the characters he created wouldn’t know such words and phrases. And the scenes were mostly author narrative, telling about the story. I often find my mind cycling back to those four corner pillars and why writers really need to get those under their belt. If this writer understood the need for a strong concept, an empathetic protagonist with a clearly visible goal, conflict and high stakes, and a theme or two with heart, he wouldn’t have wasted so much time trying to write this novel. I only edited a few chapters, and I explained to him why I didn’t feel it wise to continue. I don’t believe novels should be edited for grammar and punctuation when they are fatally flawed. It’s the writer’s choice, of course, as to whether he wants to take such advice, and, granted, this was my personal subjective advice to him. My guess is he’ll go find another editor willing to complete the job so he can hurry to publish this novel to add to his list of published books. 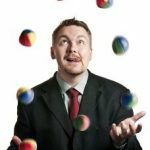 I also recently was surprised to hear a previous client interviewed extensively (over many episodes) on a podcast. She was one of the most unpleasant writers I’ve ever worked with. Argumentative, unteachable, and insistent that she knew best. About everything. She paid me a lot of money to critique her massive (800-page) first novel. Needless to say, it was a complete train wreck, but I did my best to help teach her basic things about scene structure, showing instead of telling, and the need to chop out huge sections of boring explanation. In the end, she was ungrateful and downright hostile to my efforts to help her. Fast-forward five years. She finally self-published her novel, explaining on the podcast how she went through numerous editors until she found “the right one,” then went on to praise this editor for teaching her all the important things about novel structure that she had no clue about (and which I had thoroughly explained to her in my critique). She loved that the editor, basically, let her do what she wanted, allowing her to write her book her way. I noticed on Amazon not only the few reviews and low rankings (though that doesn’t mean it’s a failure as a novel) but the book was still nearly 600 pages long. A glance at the opening pages confirmed she still had a penchant for “telling” and overwriting. She seems very happy with her novel and her success so far, and I don’t begrudge her either. I do feel, though, her attitude may have prevented her from seeing earlier and greater success. And by “success,” I don’t mean just huge sales. Success, to me, is all about writing a terrifically structure story, whether you sell it or not. I wasted a lot of years writing novels that didn’t hold together. 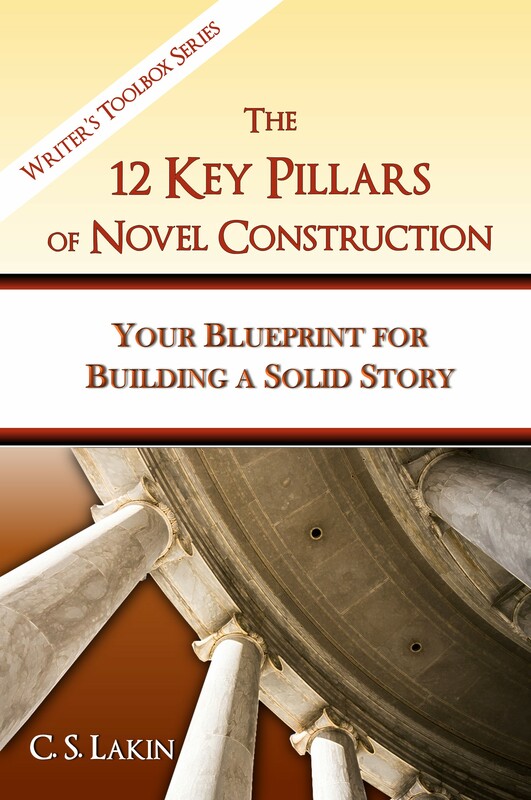 I wrote The 12 Key Pillars of Novel Construction for one reason: to help aspiring novelists avoid wasting time like I did. To avoid making these amateur mistakes. It takes a measure of humility to be teachable, to say “I don’t know everything,” and to be willing to have a professional critique your work. It’s scary at times, because it’s easy to attach our self-worth to our work. But don’t do that. You aren’t your work. It’s your work ethic that speaks to who you are. Being willing to learn, grow, and improve speaks well of you. I asked one of my favorite editing clients why all my super successful competitive trial lawyer clients were the most humble. Seriously. I would think lawyers would tend to be arrogant and unwilling to take advice (my bad). I liked what he said. You figure out what you don’t know, find someone to teach you, then humbly allow that person to teach it to you. That’s the way to fast-track to success. My point? Don’t get all caught up in your personal feelings when it comes to your writing. Don’t let them be an obstacle to improvement. Have an open mind as you read writing craft books and blog posts and get professional help with editing and critiquing. It’s a new year. How about making the choice to be proactive in learning the craft and getting help to be the best writer you can be? Attend conferences (come to the San Francisco Writers’ Conference in February! I’m the fiction track coordinator, and we are going to have some amazing tracks and speakers! ), listen to podcasts, study craft books and blogs like mine, and apply what you learn. Yes, it’s hard work. But it is fun to be creative and challenge yourself. You can do it. Share in the comments what your writing goals are for 2019! Good post. I hope those two, verbose, stubborn clients you worked with will continue (or START) learning the craft. My 2019 writing goals: edit two 2018 novels, and write a new novel for NaNo. And improve my authorial voice! This is a VERY complex subject! As someone who’s been at the receiving end of editorial feedback, I’ve been fortunate to work with two terrific mentors. What made them terrific was not just that they understood story structure, but that they were skillful mentors and guides. We, as writers, absolutely need humility and non-defensive openness in order to benefit from help, yet we also need a big dose of passion and commitment—dare I say confidence?—in order to keep going. It’s the balance, the dance, between the two. Changing things all the time because someone else tells you to is no better than a stubborn refusal to hear that your work isn’t perfect. The editor has to be sensitive, knowing when tough love is needed and when it’s important to respect the person’s vision; the writer has to truly want help, not praise. Not every editor and writer are a good fit. A challenging process for all! This advice really hits home. I would love to have a professional look at my work and say, “Ok, here’s all the places you’ve gone wrong. And here’s how you can fix it.” At the same time, I’m terrified of hearing that first sentence. You’re right though, you have to kill that ego! Thanks for the great article! I have just finished reading Outline (the first book in a trilogy) by Rachel Cusk. I am curious your opinion of Outline. I have not read Cusk’s earlier books yet. There has been much talk about her breaking “rules” about plot. Her trilogy has received mostly rave editorial reviews. I find her style very interesting and wonder what teachers of craft have to say about it. Thank you so much. I’ve decided in early January to tackle a YA fantasy project I’d started back in 2008, and it’s been 10 years since I wrote the first chapter (according to my Facebook memories, I wrote said chapter 10 years ago yesterday). I’ve started working with an editor because while the story itself has me excited, I know I need some feedback when it comes to creating believable characters (I’m in my mid-30s, and it’s been a while since I was a teen!) and making sure readers care about what those characters are going through. Sure, I could read all of the YA books that are available to teach myself the tricks of the trade, but I fully accept that I need assistance with refining things…I tend to be a bit wordy (can you tell!?). I’m so glad that I’ve found this blog – I can already tell after one post that your advice is going to be super valuable for writers like me! Glad to have you here! There are more than a million words of craft instruction on this blog, so take advantage of it and search for topics you need help on. Free content rules!